Blue Note Records The Biography: Mission Statement and Sydney Bechet. | Bob's Jazz Blog. Blue Note Records The Biography: Mission Statement and Sydney Bechet. 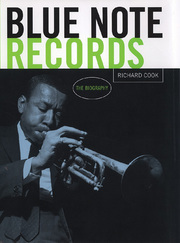 Reading this after so many years, the only conclusion to date can be that Blue Note Records always lived up to this flyer text which turned out to be their mission statement, a mission statement avant la lettre. On April 7 1939 Alfred Lion brought a six-strong group musicians in the studio which he named “”Port of Harlem Jazzmen”. The group included the soprano saxophonist Sydney Bechet, who would become worldfamous with his hit “Petite Fleur” later in the fifties. In below video you can hear “Pounding Heart Blues” recorded by this group with catalogue number Blunote4 6-A 1939. « Autumn in New York: The Sweet Jazz Trio.